Many investors have already seized the opportunity and bought their part of the edeXa Security Token. They are convinced of edeXa’s potential and consider security tokens to be a secure and innovative form of investment. To make an investment even more interesting, we recently tested a higher referral bonus for a short time. We got a very good feedback on that. Now we start to roll out the new and higher referral bonus for everyone. It’s your time to profit. 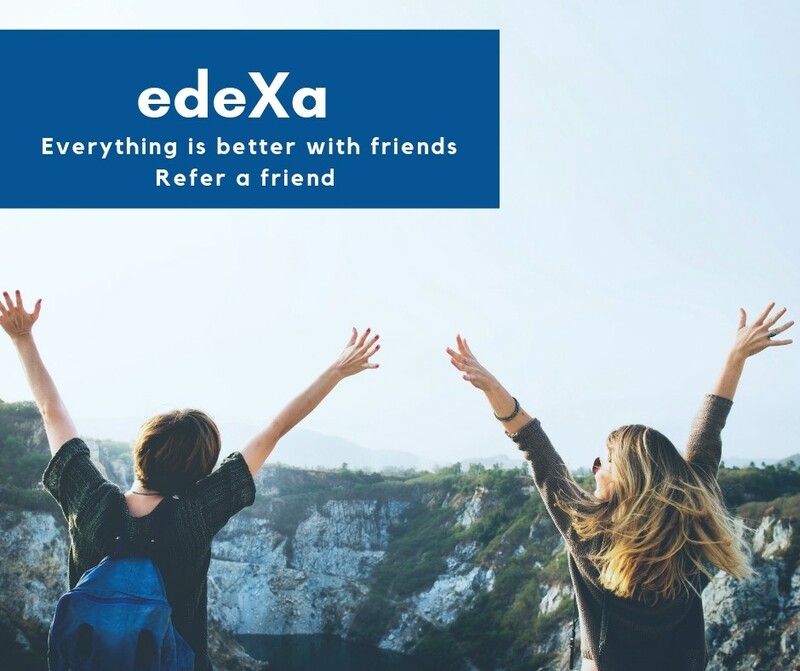 Refer edeXa to a friend and receive 5% of the investment. Therefore, all of you will receive 5% of the investment you help to generate. If you refer a friend or a family member to us, we will credit you 5% of the amount you referred to us. You will find your individual referral code in your personal Investor Dashboard. Use your personal referral code and share it with your friends, across social media or on your homepage. Every new investor will also be a profit for you.